Formed ham; cured, cooked and beechwood smoked. Pork, Salt, Antioxidant (Sodium Erythorbate), Preservative (Sodium Nitrite). 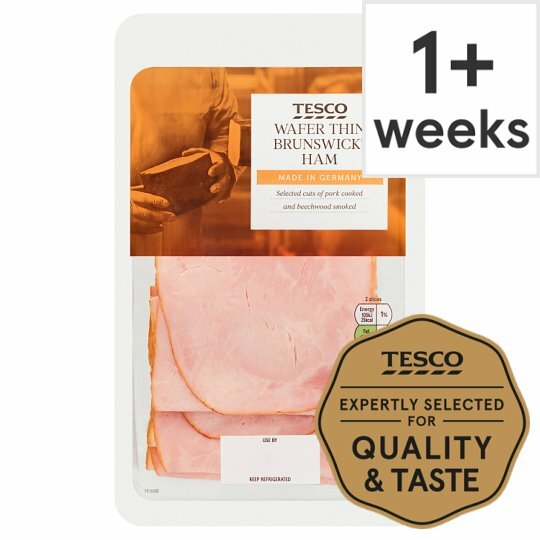 Prepared from 104g of raw pork per 100g of smoked ham.